Dr. Barton Aiken and his knowledgeable staff at Dedicated Dentistry are committed to providing exceptional care with genuine compassion for each of our patients. We understand the importance of proper dental care and strive to provide you with superior service in a comfortable, caring and relaxed environment. In fact, you may mistake our Greenville dental practice for a day spa after receiving the VIP treatment that our regular patients have become accustomed to. Dr. Aiken is dedicated to providing consistently excellent results while ensuring a comfortable and positive experience throughout your treatment. Quality Dental Care Without Compare. It’s who we are. Expect it! Our Greenville dentist offers comprehensive dental care with the skill, experience, and technology necessary to deliver the advanced care you deserve. We focus on maintaining, enhancing, or restoring the beauty and function of each individual smile we treat. We provide sedation options and our dentist happily welcomes those who experience fear or anxiety related to dental visits. Dr. Aiken has a reputation for being able to help his patients relax, and he builds the necessary trust to help his patients overcome dental phobias. Our cosmetic services include veneers, whitening, and a range of restoration treatments from single crowns to full mouth reconstruction. However, we are known for our complete smile makeovers, fully customized to meet your needs. Dr. Aiken is truly dedicated to providing the same quality of care that he would expect from a dental professional and his entire team works together efficiently to make sure that you receive an accurate diagnosis and that we recommend the simplest, most cost-effective solution to your dental concern. If you ever require advanced dental techniques or need an extensive dental procedure, our state-of-the-art dental office is equipped with the latest technology to enable that care. These advancements include our soft tissue laser that will ensure your comfort, increase the precision of many procedures, and drastically reduce healing times. From digital impressions to oral cancer screenings, we have you covered. 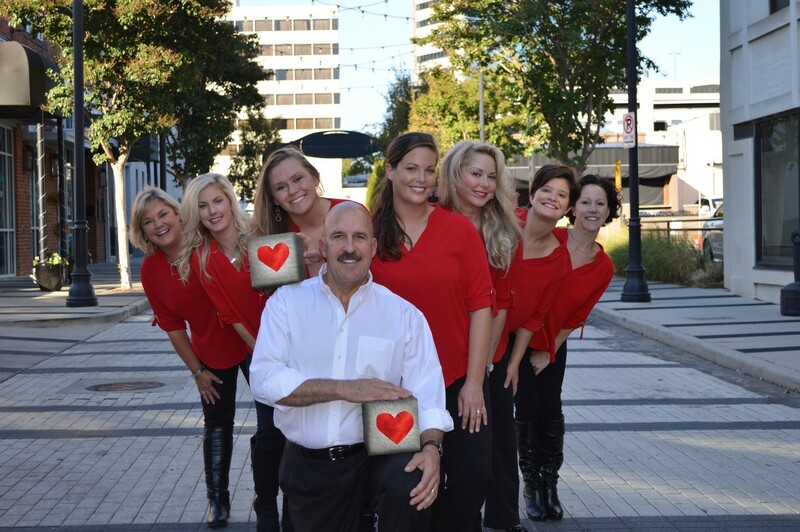 Call us today to learn more about our dedicated Greenville, SC dentist. Located Downtown with Free Parking!